Johnny Depp Talks "Lone Ranger"
Johnny Depp's former business team is calling the star "a habitual liar" after Depp said in an interview that his one-time managers "clearly let me down." Depp sued The Management Group in January for more than $25 million, charging fraud and negligence. The Management Group countersued, saying Depp spent lavishly on homes, private jets, art and memorabilia in spite of its warnings. In an interview with The Wall Street Journal, Depp questioned why he wasn't dropped as a client by the group over his spending. David Shane, a spokesman for The Management Group, responded Wednesday, telling The Associated Press in a statement that Depp is a "habitual liar who denies responsibility for his own outrageous conduct and coerces others to lie for him." "Johnny Depp and his sister were involved in every significant business decision during the 17 years TMG represented him," Shane said. "Depp now admits to his extravagant spending but blames TMG for not dropping him as a client." In its countersuit, The Management Group alleged Depp's lifestyle was costing more than $2 million a month to maintain. The lawsuit said Depp paid more than $75 million to buy and maintain 14 homes, including a French chateau and a chain of islands in the Bahamas. Depp responded to the claim by telling the Journal "it's my money." "If I want to buy 15,000 cotton balls a day, it's my thing," he added. 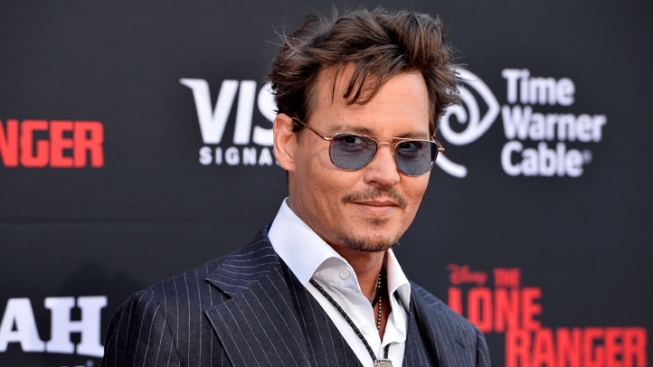 Depp also took legal action against The Management Group on Tuesday. The Journal reports his lawyers said in filings in Los Angeles Superior court that they have "significant new information, including documents and testimony" from a former Management Group employee concerning "misconduct in managing Mr. Depp's affairs." Depp's lawyers were responding to The Management Group's effort to keep the employee's testimony out of court. The business team's spokesman says Depp "relying on dishonest, discredited statements from a vindictive former TMG employee who was fired seven years ago_at which time the employee vowed to get TMG back." The Management Group is run by brothers Joel and Rob Mandel.